The environment for business today is characterized by increasing competition and accelerating change. This new intensity is manifest in so many ways, from proliferation of new entrants to the on-going revolution in information technology. To succeed in this climate –and keep abreast of new and emerging developments – organizations must innovate and change. This raises a dual challenge. Organizations need to be more innovative than their competitors; they must also ensure that their innovations actually happen – quickly and efficiently, with minimum disruptions in their day-to–day operations. This requires that organisations must not only apply fresh thinking to gain insights on the issues and opportunities they face, but also design and deliver feasible, pragmatic solutions based on those insights. Cost segregation study-Increase the current depreciation expense on your building. Tax Preparation – we prepare business returns monthly and yearly for business owners, real estate investors, clients listing in multiple states and other tax clients. We also electronically file returns for clients as mandated from your payroll data. All individual returns are e-filed at no additional charge to ensure that your returns are received and properly filed. Refunds from e-filed return are generally deposited within two weeks of acceptance by the IRS and your state(s) tax authorities. We prepare different state tax returns each year and can prepare a return for any state you require. Identify your estimated current tax situation for the year. Analyze opportunities available to reduce your taxes for the year. These include current tax law changes, retirement plan analysis, estimated income tax payments, additional deductions you may have overlooked, alternative minimum tax, tax reduction and asset protection strategies. Analyze your accounting records for the period. Notify you of necessary adjustments to correct your records. A misposting in your accounting records can greatly affect your correct net income! Identify the dollar amount of your tax savings and assist you in implementing any necessary changes. The business tax plan and analysis flows with the individual tax planning. These are prepared simultaneously for business owners with flow-through entities (Corporation and Partnership taxation). We can include the Business Analysis to provide you mid-year consulting with your tax plan. Entity structure and perform a comparative analysis on tax savings opportunities for various entities. Buy-sell agreements-Types of agreement, funding methods, effect of insurance. Audit representation with the IRS, state department of revenue, property tax audits and sales tax audits. Resolution of payroll tax penalties and notices. Offer-in-compromise for outstanding taxes. We have saved clients tens of millions of Naira each year through this program. We can evaluate your situation to determine if this is an option worth pursuing. Should you require our services in respect of Taxation Support and Audit Services, kindly confirm in writing or call the undersigned for a meeting on 08033058847. Suffice it to mention that our offices are in Lagos, Port Harcourt and Abuja. 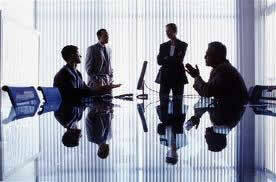 Organizing customized training sessions for corporate organizations (in-house courses).